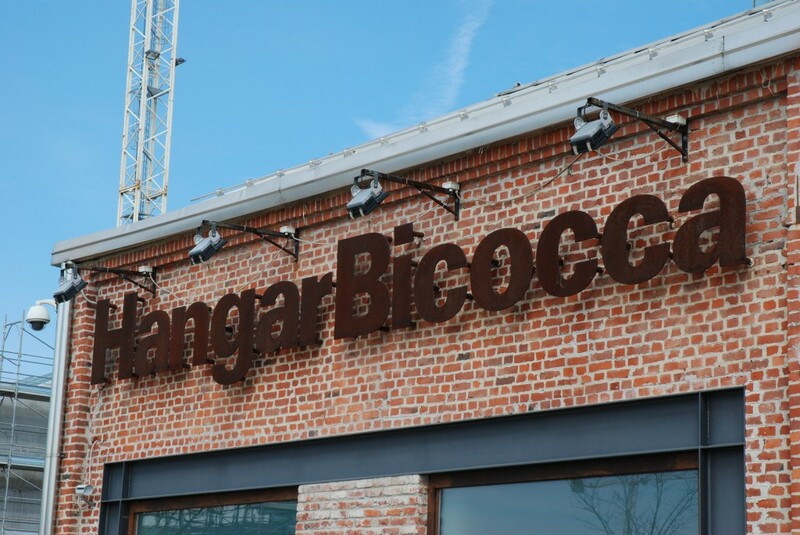 If you are ever in Milan and you have a little extra time or you want to visit a different kind of art centre than the musea in the centre of Milan, than Hangar Bicocca should be at the top of your list. 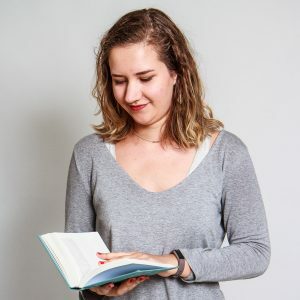 (It is also on my own list of top 10 things to know about Milan, check out that post here). Hangar Bicocca is located in the Bicocca area of Milan (in the north) and it is housed in a building that used to manufacture coils for electric train engines. There are a couple of halls (I believe three) that can be used to house immense art installations. 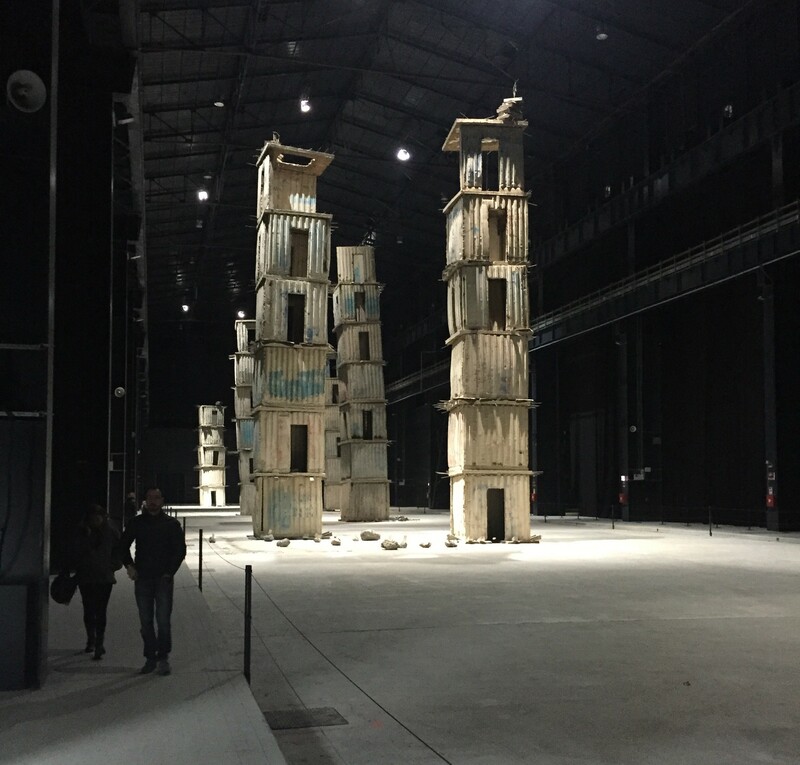 One of the halls is used for the permanent exhibition of the Seven Celestial Palaces (2004) by sculptor Anselm Kiefer. 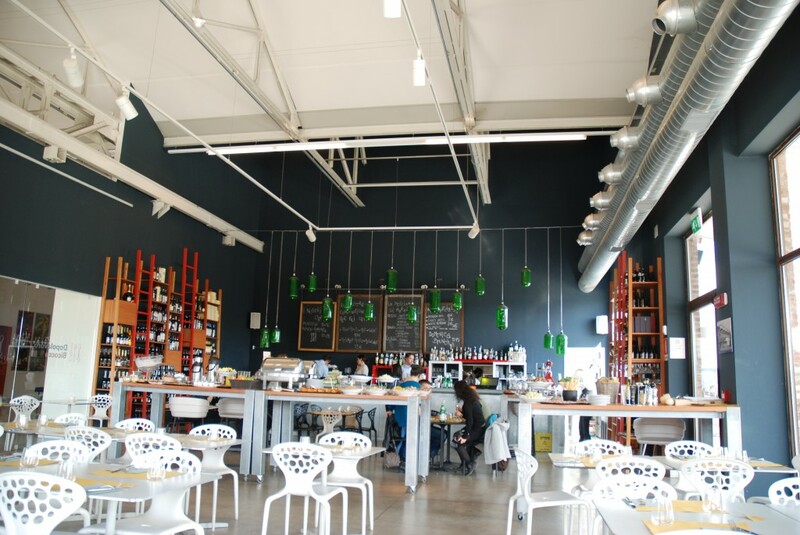 The first time I visited all I saw was the entrance block, which is a low brick building containing the service areas, a fun looking room for kids to experiment with art and a restaurant. It was attached to one of the smaller halls, housing at that time a very uninteresting modern art exhibition. However the second time I visited I looked a little further than the end of my nose and in the giant hall behind this brick building the Seven Celestial Palaces are housed. You have to walk around the outside of the brick building to get there, but once you do you are blown away by the magnitude of these towers. 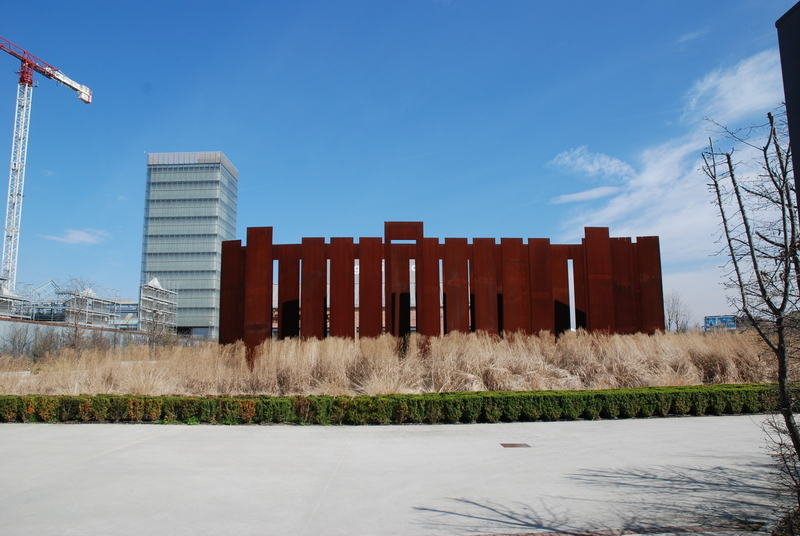 At the entrance there is a garden with another permanent piece: a sculpture called Sequence by Fausto Melotti from 1981, restored and now placed in front of Hangar Bicocca. It is a very interesting piece of art, I especially like the contrast between the metal and the plants around it. The whole building, but especially the brick service building, is nicely restored and looks very modern. Perhaps it is not the most exciting thing in Architecture, but it is nicely done and it creates great spaces for exhibitions and some great coffee as well. Definitely worth a visit! Entrance is free and you can reach it either by bus or with the red metroline. For more information you can go to the site of Hangar Bicocca.